Liverpool Ladies FC can confirm that Martha Harris, Ashley Hodson and Katie Zelem have signed new contracts with the club. England U23 defender Harris joined the club from Notts County Ladies - formerly Lincoln City Ladies - in 2013 and helped the Reds retain their Women’s Super League title in her first season. Striker Hodson has progressed through the ranks at Liverpool Ladies and featured regularly for Matt Beard’s side last season having impressed with the Development Squad. Manchester-born midfielder Zelem joined the Reds in 2013 from Manchester United and is a regular for Mo Marley’s England U19s. 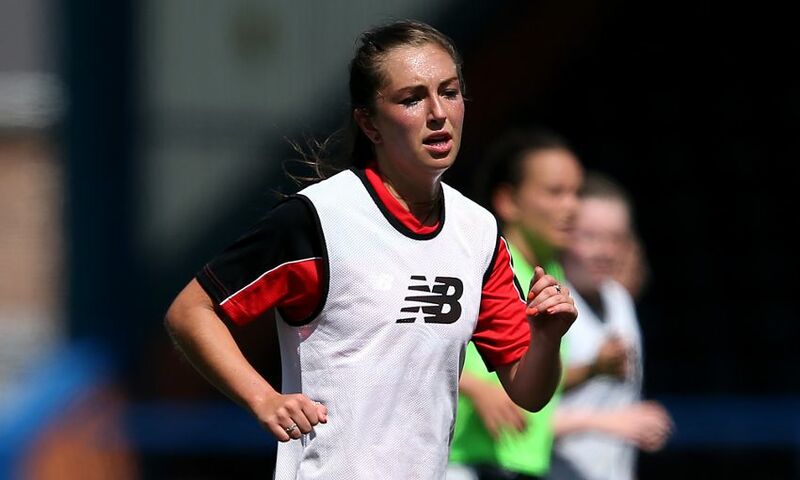 Liverpool Ladies manager Scott Rogers spoke of his delight at securing the future of the three youngsters, commenting: "All three are players with a great deal of potential. "Last season was a difficult season for us, but one of the benefits was allowing players like Martha, Ashley and Katie to gain some valuable first-team experience.